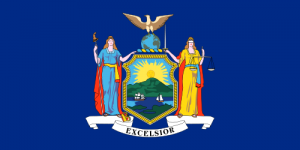 Pray for all the resources and creativity needed to fulfill the intentions of God in the state of New York. State Information: The Dutch West India Company established the first settlement at Fort Orange near present day Albany in 1624 and another in New Amsterdam on the site of present day Manhanttan a year later. After the English took over in the 1660s, the colony was renamed New York, after the Duke of York. One of the original 13 states to join the Union (it entered in 1788), New York is known as the “Empire State.” The state includes everything from skyscrapers in Manhattan to rivers, mountains, and lakes in upstate New York. Today, New York has the third largest population (after California and Texas), and remains the financial center of the country. The state flower is the rose, and the capital is Albany.